A solid opening stand between Tamim Iqbal and Soumya Sarkar gave Bangladesh a good start in the reply of Sri Lanka’s big total at the end of second at Galle. Earlier bowlers fought back well and restricted Sri Lanka on 494. Kusal Mendis was the standout performer for Sri Lanka who scored 194. He was the first victim of Mehedi Hasan at the first session. Tamim Iqbal took a stunning catch at the long on. Couple of overs later Mehedi Hasan struck again and got rid of Niroshan Dickwella who looked dangerous. He scored 75 from 76 balls. Dilruwan Perera and Suranga Lakmal made a small partnership of 23 runs in the 8th wicket which ended in a run-out. Mustafizur Rahman and Shakib Al Hasan shared rest of the two wickets and wrapped up the Sri Lanka innings. Mehedi Hasan was the top of the bowler for Bangladesh with 4 for 113. In reply, Tamim Iqbal and Soumya Sarkar made a record breaking opening partnership of 118. 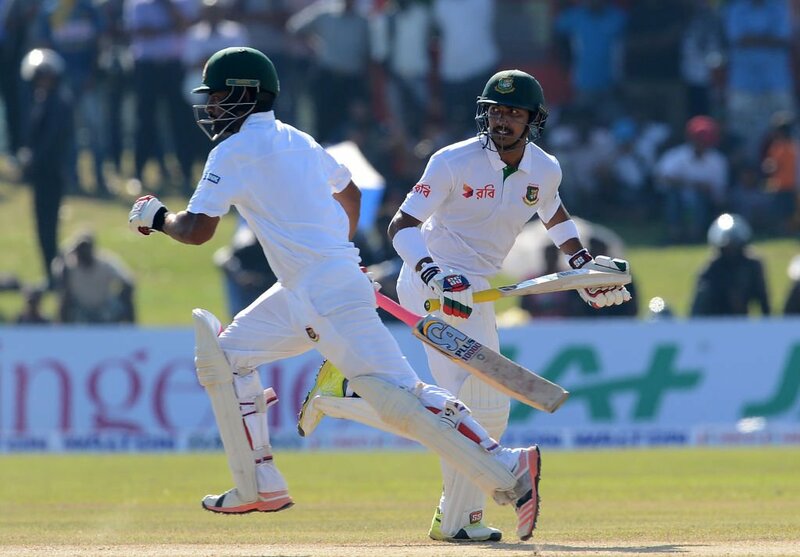 This is the highest opening stand of Bangladesh against Sri Lanka. Tamim Iqbal was dismissed on 57. Next batsman Mominul Haque was trapped LBW by Dilruwan Perera just before end of the day’s play. Mushfiqur Rahim survived rest of the day and unbeaten on 1. Soumya Sarkar is the other unbeaten batsmen with 66 runs.